Tag - Zelda | Squackle.com! The Funniest Site on the Net! Every time a new Zelda is announced, Nintendo manages to light a collective fire among their diehard fans. Almost immediately, there are more questions than answers about the newest installment featuring our favorite wielders of the Triforce of Power, Wisdom and Courage. Most important of all, among this tizzy of emerging fan theories and confirmed features from Nintendo, the simple question of “Will it be good?” reigns supreme. With that in mind and with about 10 hours of gameplay under my belt, I can still say with certainty that this game is one of the best in the series. 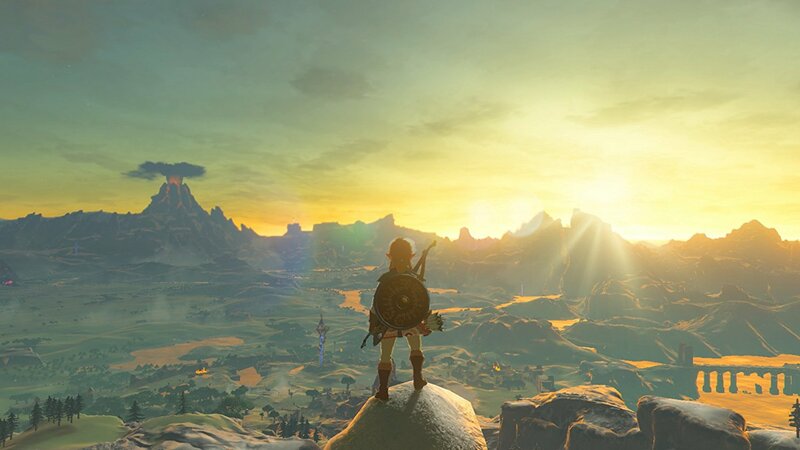 The best way to describe Breath of the Wild is to say that, “The more things change, the more they stay the same.” While a lot of the elements are a major departure from recent installments in the series, many also harken back to more classic elements of the franchise. 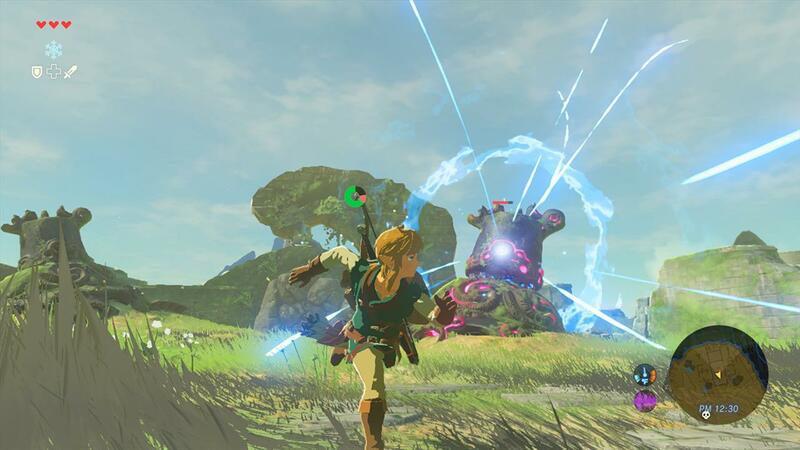 Working together, all of these features give a fresh feeling to the game entirely, while still being a thoroughly Zelda-like experience; ultimately a mixture of old and new turns into a great game. With that in mind, here’s a few of the features worth noting. Taking a note from the first game of the series, Breath of the Wild begins with an open world and a generous old man. Once what serves as a tutorial is put out of the way, you are given freedom on how you want to approach things and a litany of distractions to prevent you from getting anywhere. Among the main quest and side quests, there are a number of shrines that serve as mini-dungeons to explore throughout the world. Each provides a puzzle or battle to overcome and serves as a worthwhile distraction. Beyond that, the world is littered with things to do. Enemy camps, collectible items, and materials populate the world around the player. More often than not, I found myself far and away from my original goal as I pursued one distraction after the next. Variety comes in many forms in Breath of the wild. Unlike previous iterations, Link has a more robust assortment of weaponry than the typical sword and shield. Things like heavy blades, hammers, and spears are available and have their own properties in combat. While the standard sword still swings in a half circle arch, heavy blades and hammers possess a heftier swing that can also knock a shield right out of an enemy’s hand, and spears have a far more reach but don’t swing nearly as far. The arrows also come with their own assortment of choice, each possessing moves that can shock, sizzle, freeze or even explode enemies on contact. Though where the variety really shines is how the world lets you tackle every encounter and puzzle. Every enemy can be beaten traditionally by hitting them with whatever weapon you have equipped, but it’s far more fun to use the environment against them. Big rocks, flammable grass, and exploding barrels are some of the many ways you can turn the environment against Link’s enemies. Beyond that, puzzles can be treated the same way. While most of them have a standard way to solve them, many allow for the player to deviate from the norm and find their own way to solve them. New to the series, (unless you count the Giant’s Knife from Ocarina of Time) every weapon, bow and shield in the game has durability. What this means is that those items will eventually break, and that they will break often. It’s not too uncommon to have an item break after one or two encounters, or to have several weapons break during a particularly hard battle. While a mechanic like this could easily verge on the annoying, Nintendo has done a good job at making the loss only minor. There are so many weapons, bows and shields throughout the game that finding a replacement is almost instantaneous. Shockingly enough, Breath of the Wild can be difficult at times. Since the world is open to explore that also means that it’s entirely likely that the player will encounter an enemy they have no business facing. Every so often, I would be one-shotted by what seemed to be a common enemy only to later find out that their weapon far exceeded my current hearts or armor. That said, the enemy AI also got a boost. They no longer run blindly into danger, and seek cover when attempting to shoot them from afar. They no longer attack one at a time, but instead seek to surround link and hit him from all sides if possible. Overall, this reminded me of A Link to the Past and the many times when I was either surrounded by enemies or fighting one that was far beyond my current experience. Despite all the changes to the core gameplay, Breath of the Wild still feels like a Zelda game. 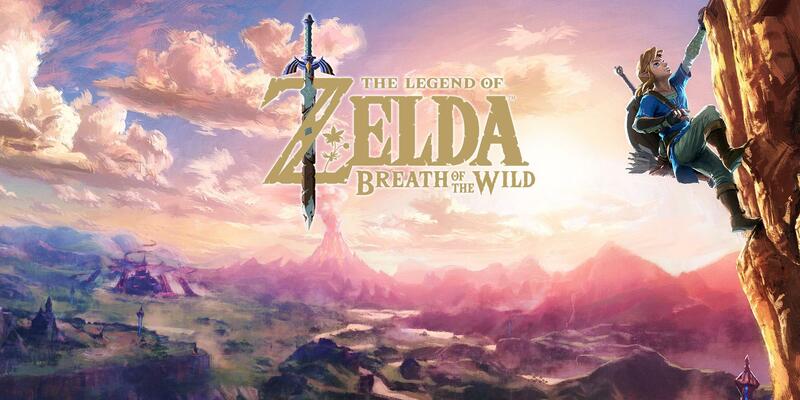 The story is filled with a cast of colorful characters, the sense of adventure reigns supreme, and many other elements return to define this as a Zelda-experience. While the execution may be different, there’s enough here to make any diehard Zelda fan fall right back in love.